The latest release on John Johnson’s Hydrogen imprint welcomes Missing Time to the label for their debut EP. Hailing from Paris, France; Franck Geay and Francis Martinez make up the Missing Time production duo and look to make their mark on the world of melodic electroncia with their first ever release here. I’ve said before that John and the team at ICONYC and Hydrogen are some of the best at sourcing out new talent and they’ve done so here again. 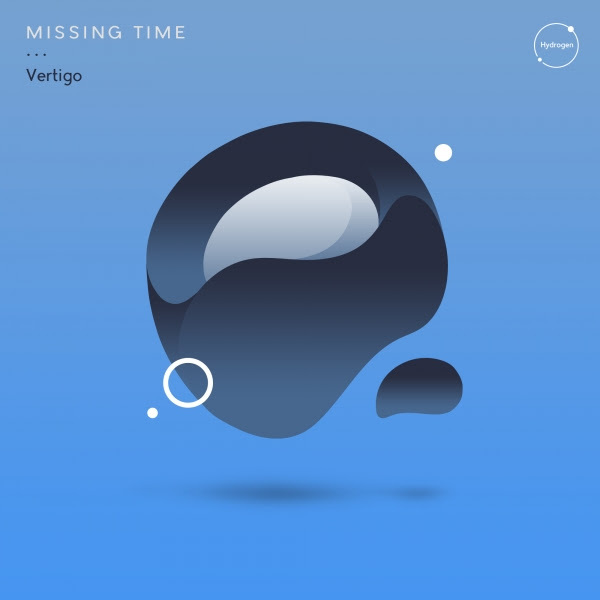 The release begins with ‘Vertigo’ and immediately you get a feel for what Missing Time are all about. Anchored by some very deliberate and heady bass tones, the French duo slowly shapes the framework with chord stabs, sharp hits and metallic percussion. It all comes in a big wave which makes for some killer momentum throughout the first act. A short and timely break only ups the dramatic tension before the roof comes off as a barrage of percussion and vocal gates assaults the senses during an intense finale. Unique and inspiring music from Missing Time. The companion piece ‘Spirit of Groove’ comes in a bit more cautious with icy pads and a storyboard of gamey rhythms. Esoteric vocals intrigue the mind while granular hits add some lovely character along the way. There’s a dark, almost mysterious undertone running through this which the unique design and cadence only makes all the more interesting. It’s not without moments of brightness though as a few timely clusters add a warped melodic sensibility along the way. It all amounts to a great debut for Missing Time and another awesome find for John Johnson and Hydrogen. Don’t miss it.